Material and Finish: "Dazzling Pewter" powder-coated steel posts with mahogany wood top rail. 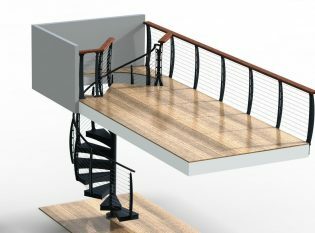 Description: Keuka Style cable railing and custom spiral staircase. Our client in Jupiter, Florida wanted their loft design to add flair to their home interior. 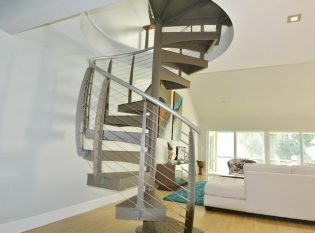 For a cohesive look, Keuka Studios fabricated a loft railing that connects to a custom made spiral staircase. We used “Dazzling Pewter” powder-coated steel for the posts and stairs. 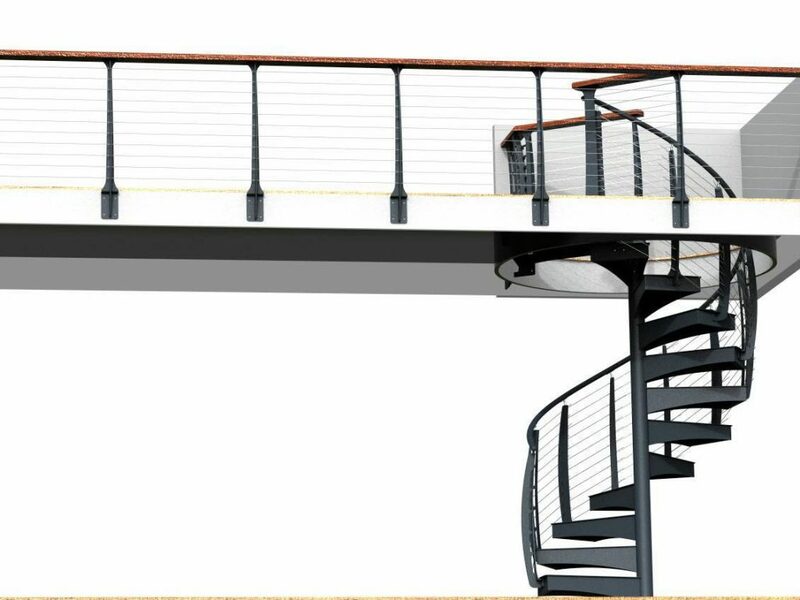 The loft railing has a mahogany wood top rail while the staircase railing has a steel top rail. 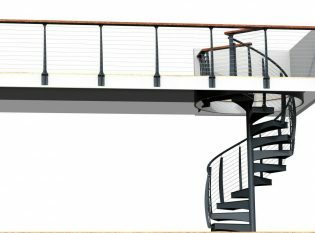 To emulate the look of a seashell, we used our curved Keuka Style railing posts for the steps that wrap around the staircases center post as they descend.